The Director of the Euro-Mediterranean Network for Economic Studies – EMNES and Founding President of the Euro-Mediterranean Economists Association – EMEA, Prof. Rym Ayadi, participated to the EU-OECD Regional Seminar “Foreign investment trends and qualities in the MED region: Policies to maximise impact” which took place in Tunis on 05-06 March 2019. Prof. Ayadi explained how FDI and trade should be linked to the Sustainable Development Goals (SDGs) in the Mediterranean region at the session “Monitoring the impact of FDI on sustainable development”, along with Letizia Montinari and Fares Al-Hussami, Economists, OECD, Zoé Luçon, Key Partnership and Publication Director, ANIMA Investment Network and Anna Stahl, Director of Social Dialogue Project, Friedrich-Ebert-Stiftung (FES). The objective of the session was to discuss how FDI helps MED countries progress towards the Sustainable Development Goals (SDGs). The regional seminar focused on FDI statistics and capacity to monitor the socio-economic impact of FDI with a view to orient policy reforms. It was followed by the Third Advisory Group Meeting of the Programme, as well as a national workshop on FDI Statistics for Tunisia. The EU-OECD Programme on Promoting Investment in the Mediterranean supports efforts to boost the quality and quantity of investment to and within the Mediterranean region. Working in partnership with governments and institutions, the Programme engages in regional and national actions to create more robust and coherent investment policies and strategies. 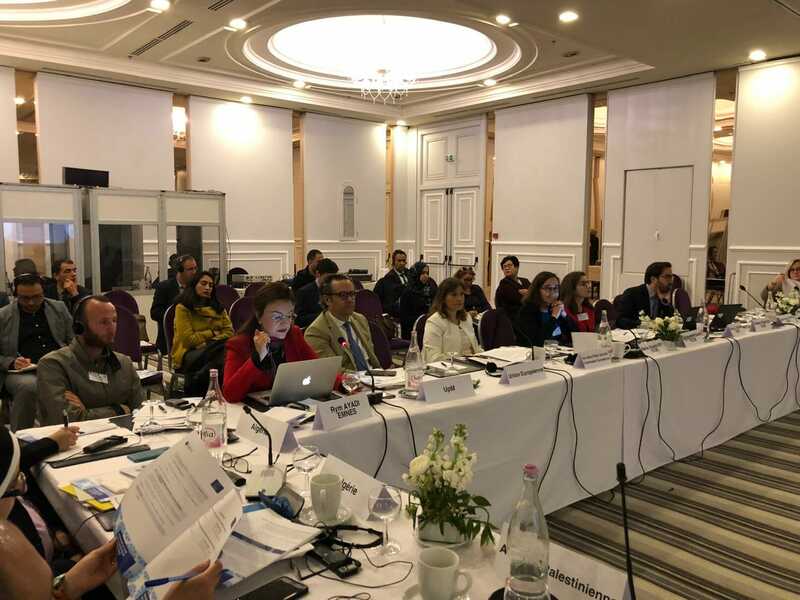 Prof. Ayadi also participated to the Third Meeting of the Advisory Group on the 06 March 2019. The EU-OECD Programme on Promoting Investment in the Mediterranean, launched in October 2016 in Tunis, aims to support the implementation of sound and attractive investment policies and establishment of effective institutions in the Southern Mediterranean region, with a view to boosting private investment and job creation opportunities. The Programme is governed by an Advisory Group, co-chaired by the European Commission and the OECD, with the participation of representatives of beneficiary countries, the Secretariat of the Union for the Mediterranean and other partners. The objective of this third meeting of the Advisory Group was to report on the second year’s activities and discuss the road map of the Programme and the priorities for action with the beneficiary countries and partners.